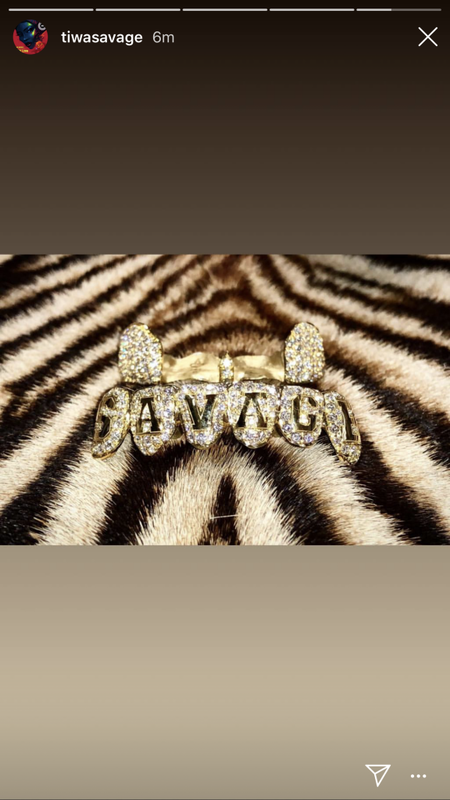 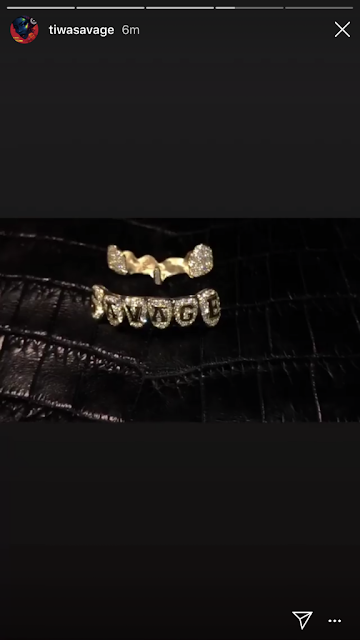 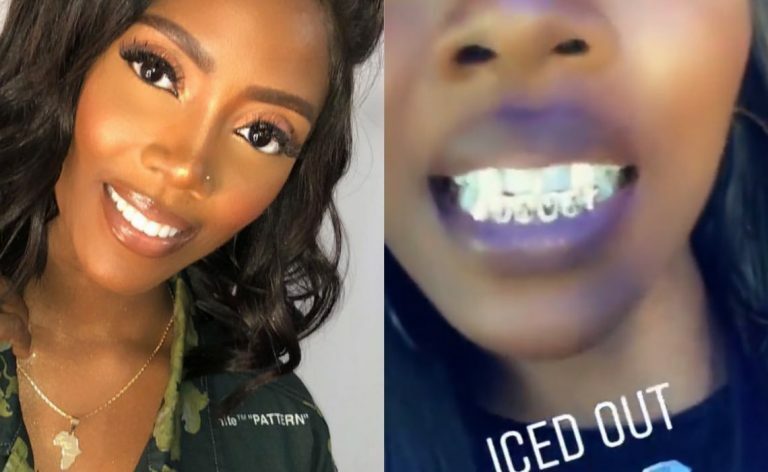 'Nigerian Musician ,Tiwa Savage, showed fans her new acquisition ,an expensive set of iced out grills. Looks cool..
Reports shows that she has always loved grills and worn braces ,showed it off on her Instastory. 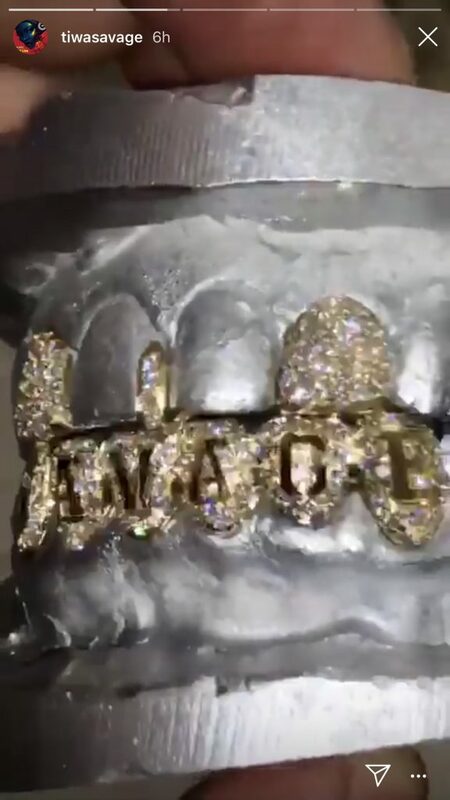 Talking about blinding haters with a smile'.